Product code: R288 Categories: Sold Items, Sold Jewellery. As romantic as the Georgian and Victorian eras were with the thought of decadence and grandeur, the fact is that these era’s were infamous to being quite smelly and not as clean and hygienic as we may think. To overcome this problem, men and women would hold or wear a scented cloth close to the nose to maintain a pleasant smell instead of the more overpowering smells of the romantic but not always sterile and hygienic Georgian and Victorian era. 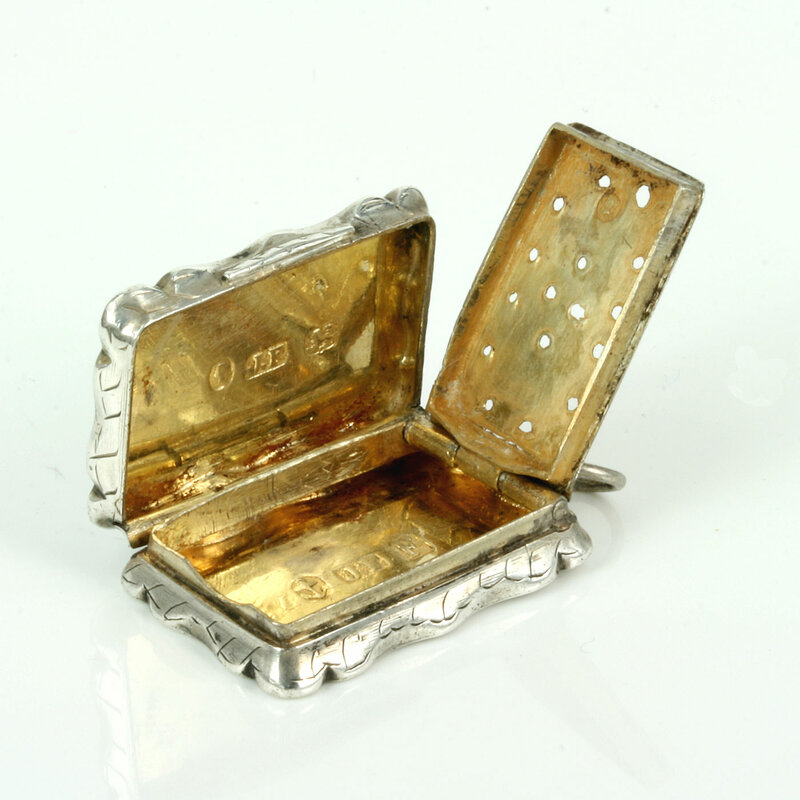 And the more affluent people of society would use a vinaigrette filled inside with vinegar, smelling salts or some other form of perfume close to the nose to maintain a pleasant smell instead of the more overpowering smells of the cities and countryside filled with everyday smells that were not always contained hygienically. 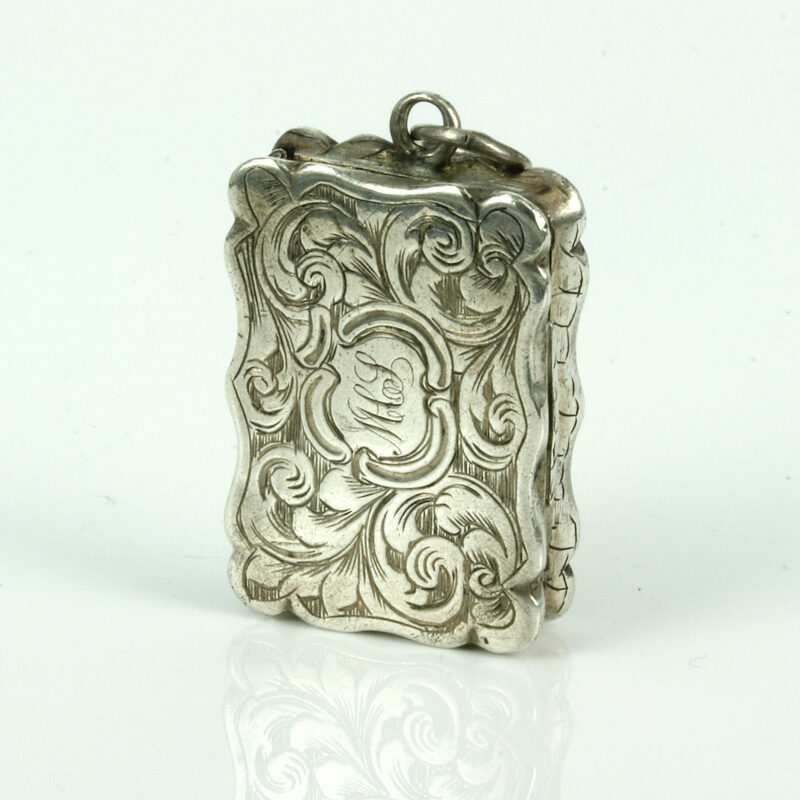 And here is a very elegant antique sterling silver vinaigrette made by James Fenton in 1854. 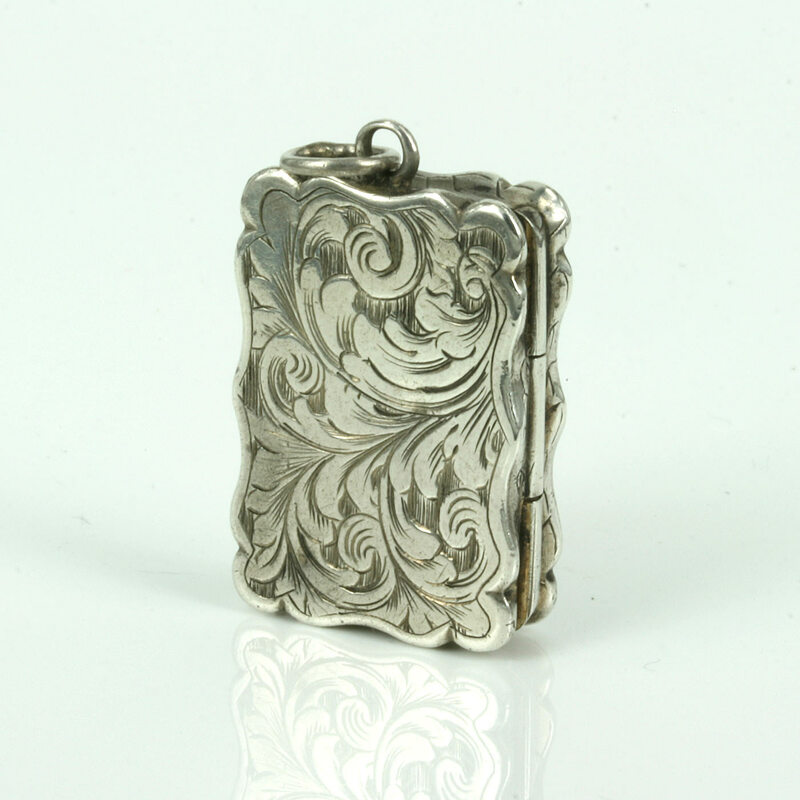 With gorgeous hand engraving to highlight it even more, the vinaigrette measures 18mm wide by 27mmand would sit perfectly on a necklace. 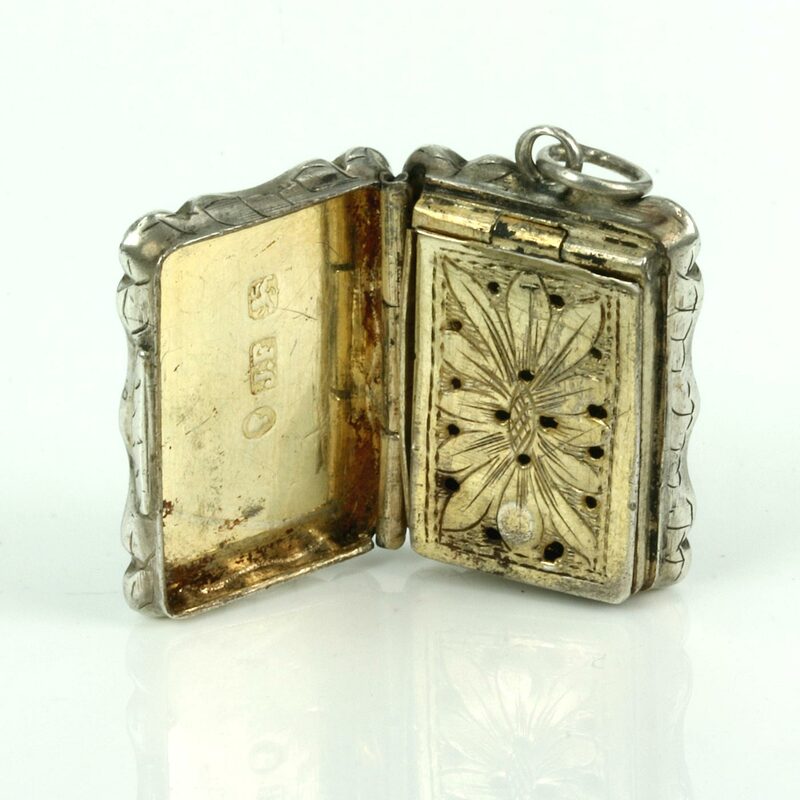 Inside it is gilded and the hinged pierce lid was so made to allow the fragrance to escape and adds to the charm and character even more. This is a wonderful piece of history that not only looks good but would be a magnificent talking point.